Good evening from Orange County everyone! I’m one Newport Beach Portrait Photographer who’s totally uber ultra crazy insane MEGA excited about sharing this evening’s announcement with you! As I’m sure you’ve seen on Twitter & Facebook at the end of the year – the Workshop I taught with my good friend & fellow photographer Danny in Paris, France. Can I say… WHOLLY NACHOS & NEWCASTLES!!! 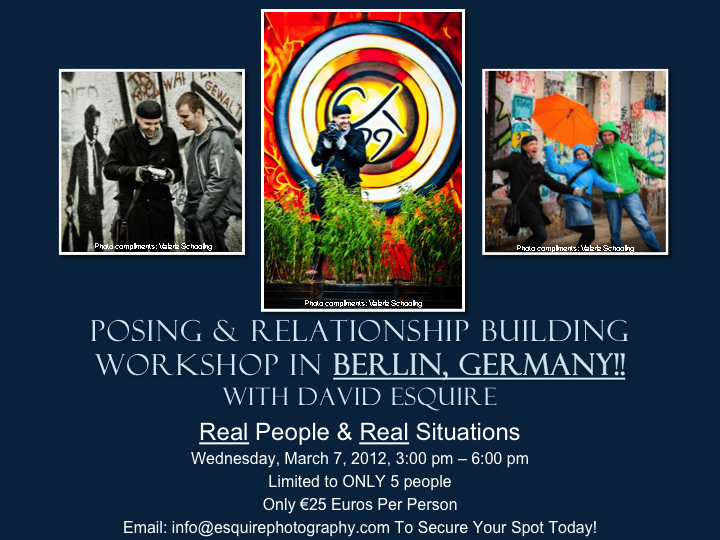 This time, it’s going be in Berlin, Germany and the topic is; “Posing & Relationship Building.” This is something that I’ve noticed quite a few photographers struggling with and I totally want to help out in any way possible AND keep it so affordable that it’s a mistake to NOT do this workshop. So if you’re in Berlin, Germany & would like to get out & learn more about how to work with people in front of the camera AND learn more about posing, this workshop is soooooooo totally for you. Plus if you’re up for it, after the workshop we can always head out for an amazing dinner and pints as well. YUMMY!!! BUT! 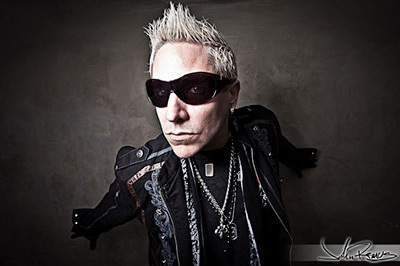 Before you scroll down and you’re thinking… Hey – I’d really like to get to know this Newport Beach Photographer (Previously a Huntington Beach Photographer) who loves music & fashion, photography and art, feel free to contact me anytime. Perhaps you’re a fan of Nachos & Newcastles (like Duran Rex and I) & if so – we could always meet at Fred’s Mexican Cafe on Main & PCH in Huntington Beach. They’re out of this world at Fred’s! I hope you’re having a great weekend & stay tuned for some amazing events that I’m sharing this week. From San Diego to Newport Beach, Ventura and all the way up to Oakland – I’ll have some fantastic Weddings and events that I’ve had the honour of photographing. And of course soon to come; LA Fashion Week, the VIP Party Manny “Pac Man” Pacquiao had at The Supper Club in Los Angeles and the American Music Awards Pre-Party at Ben Kitay Studios with the Kate Mesta Crew – Cheers! PSS, There are only a few more days to take advantage of the AMAZING Valentine’s Day Promotion I’m running through the ENTIRE Month of February taking 50% OFF all my services. Totally check it out!! Photos of me compliments of one of my best friends; Ms. Valerie “P2” Schooling. Thank you so much for capturing the fun images when you & I were there in January, you rock! to show some love for the workshop I’m hosting in Berlin, Germany!